A really beautiful tool you have there Dan. I'm not old enough to remember the "good old days" yet (don't mean to suggest anything by this :)), but I can appreciate a fine piece of work when I see it. Timberman - Thanks! That's exactly what I like about it: art and tool at the same time. The patterns on the handles are quite lovely! This may seem like a silly question but what is the difference between needle nosed pliers and " non-needle nosed pliers? "(what are those called?) I know they are made differently for a reason and one may be better than the other for a certain project,but is the difference really that big? P.S. Where did you find this tool? Georgie - Sorry it took so long for this reply to your question - busy summer! In general, the purpose of pliers is to hold or squeeze something. Depending on what is being held, the pliers will be designed differently (form follows function). 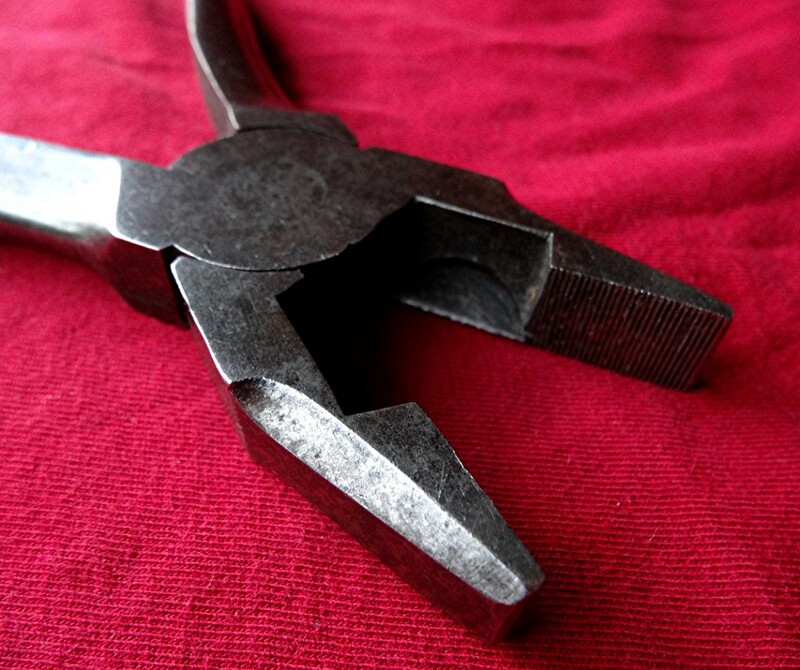 Some pliers are meant to work with nuts and bolts, so the jaws have a cut-out in them with grooves to hold the corners of the hexagonal shapes. These also usually have a pivot point (the fulcrum of the first class levers if you remember about that...)that can slip between to settings, allowing the jaws to be moved further apart to work with larger bolts/nuts. 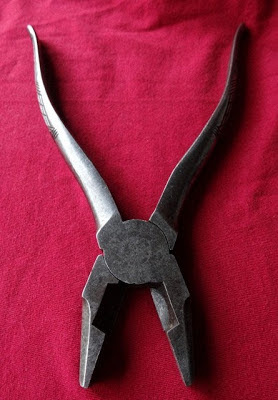 These pliers are “lineman’s” pliers, which means they are meant to work with wire. 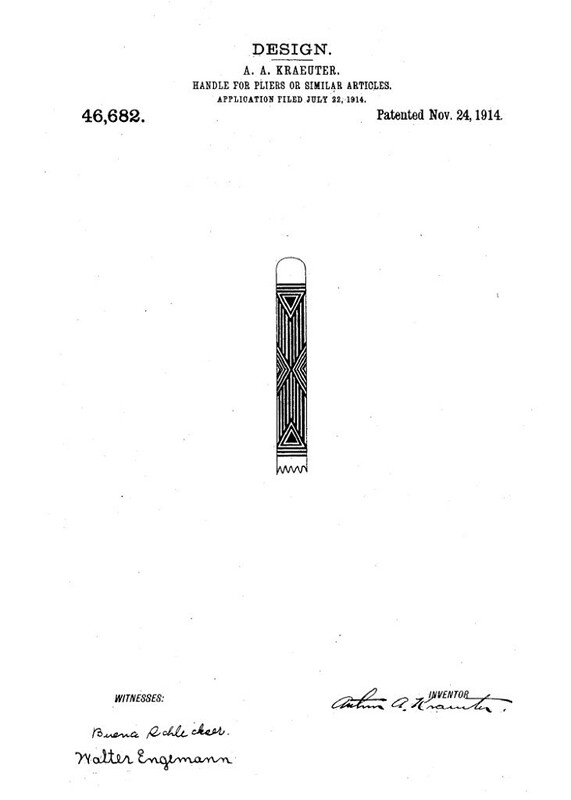 They have the flat jaws for twisting strands together (hold the separate strands in the jaws and rotate the pliers) to make electrical connections. They also have the wire cutting feature at the base of the jaws. Needle-nose pliers usually have long, slender, tapered jaws and are designed for holding small things (wire etc.) and for getting into hard to reach places. Having said all that, there is no hard and fast rule on how pliers must be used – if it works, and doesn’t hurt the tool or the object being worked on, then fine. For example, my needle-nose pliers are almost always used to dig out staples that are stuck in the wood I buy. The sharp end lets me get under the staple and then I pry it out a bit before grasping it in the “normal” plier method and pulling it all the way out. Saaara - I know, it is amazing how poor in quality so many modern tools are. It's like the people making them never have to use them! Old tools are the great bargain in the 21st century world. I found a batch of old Utica and Klein pliers at the local flea market a couple of years ago and bought them all for 3-4 dollars apiece. Then I went home and marveled at the quality compared to modern tools. Those pliers cost the craftsmen of their day good money - 50 cents could amount to half a day's pay back at the turn of the 20th century - but they did the job and lasted a lifetime and longer. Now we buy them for a few dollars, less than we probably spend on lunch. Same goes for pocket knives, which I collected for a while. The old ones are far better metal and workmanship than the new ones, and cheaper too. Now I am buying woodworking tools and finding that great classic tools that need just a little cleaning and sharpening are available for a song. Once you get clued in to the value proposition of old tools, you will never buy a new one again. Amen to that Brother! There is really no comparison - trust your hands. 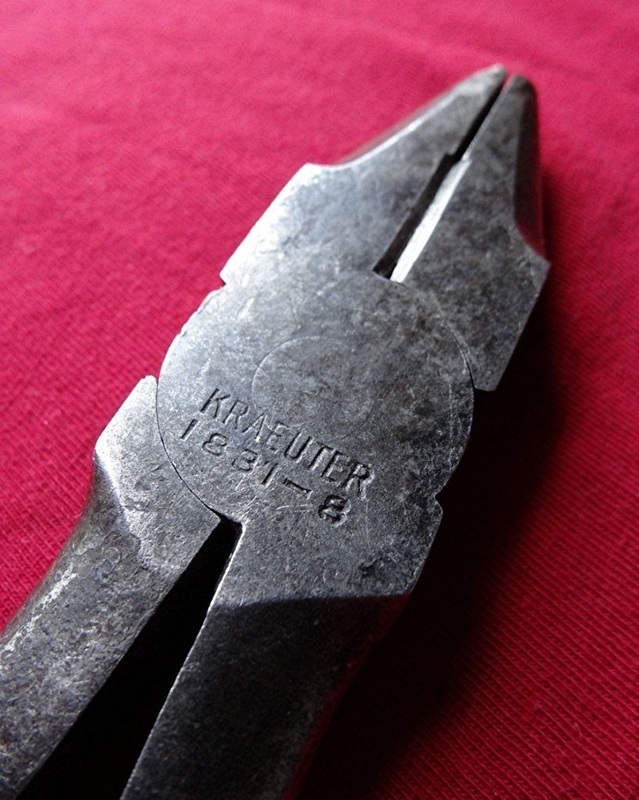 That is a beautiful set of pliers from back when tools were made to last. Thanks for sharing them. Thanks Dan for describing about 1831-8 8" Lineman's Pliers. I have one just like it and I know what you mean. It just feels good to hold and to see. That is a fine piece of art there. May I ask how you acquired it? They don't make 'em like that anymore. Thanks for sharing! I happened across them in an antique store in Oregon - and unlike most tools you find in antique stores, the price was very fair. Thanks for commenting. It is great to see a tool that isn't just all steel with some crappy grips on it. Refreshing to see a quality built tool with some great design on. Great find! 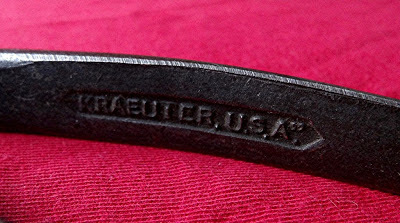 Yes, Kraeuter tools were some of the best. 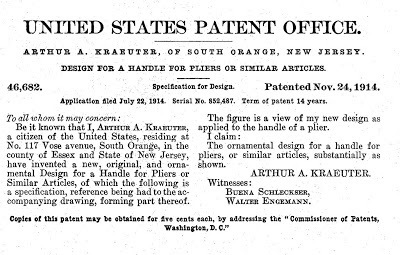 I know some of the Kraeuter family. 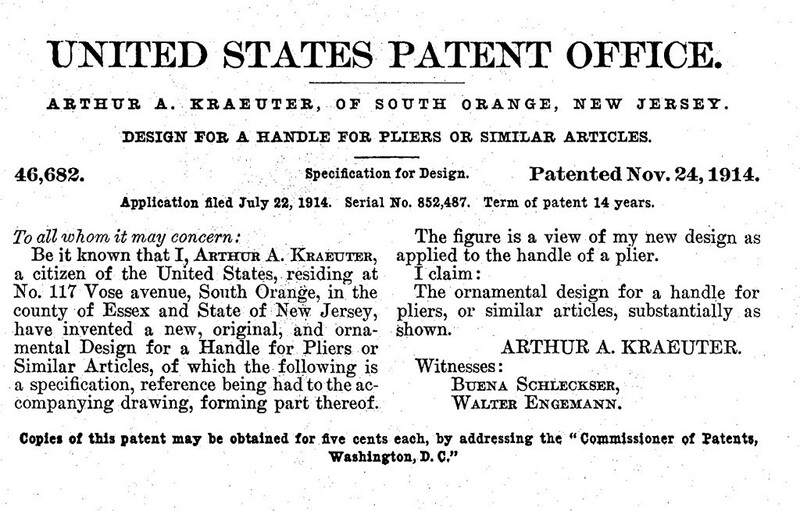 My childhood pal's great-great-grandfather started this tool company. We used to handle and use the pliers that were around his house, and marvel at the feel, beauty, precision, and general superiority of design. Great find! What a beauty! Of course, manufacturers won't make them like that anymore - that'll last for decades if not a lifetime so they can't sell more. I just snagged that exact same set of pliers at a garage sale for a buck. Just like you, when I picked them up they felt perfect and of high quality. Lately it seems garage and estate sales have been giving up Snap On, S&K, vintage Craftsman, etc. 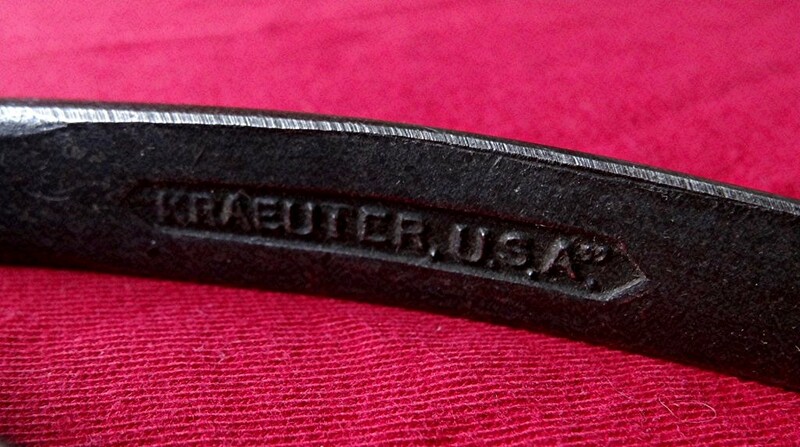 I suspect the Kraeuters will become my go-to pliers for a lot of jobs.